During a fall field trip in second year, students measure bedding, cleavage, fold axes and bedding-cleavage intersection lineations. 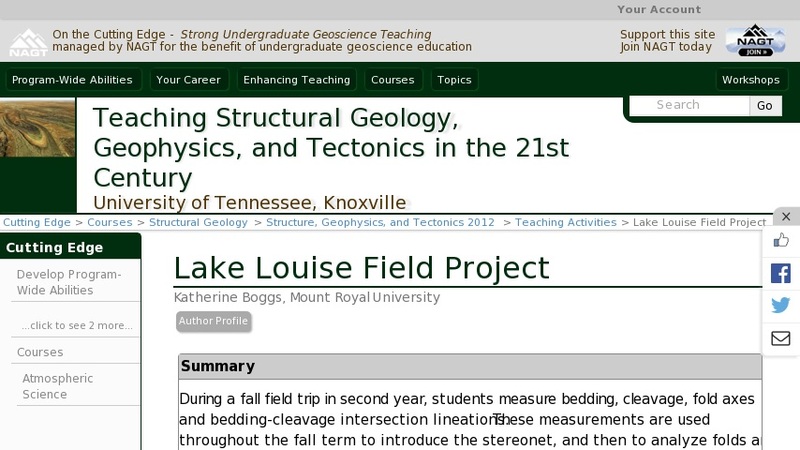 These measurements are used throughout the fall term to introduce the stereonet, and then to analyze folds and principal stress orientations in class and lab exercises. Students then have the option to write this exercise up (including map and cross-sections) to replace previous lab exercises.